Oui Oui! 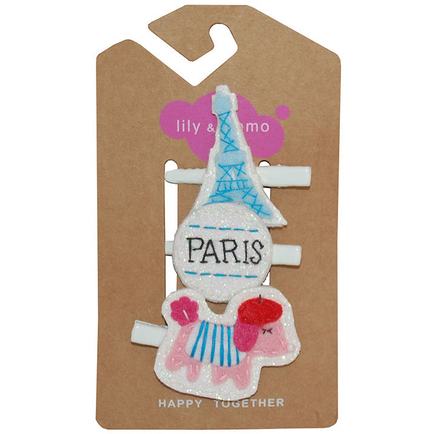 Every girl needs a trio of Paris hair clips in pastel pinks and baby blues. Eiffel Tower: 1.7" tall * 1.25" wide. Paris logo: 1.3" tall * 1.35" wide. Poodle: 1.35" tall * 1.4" wide.